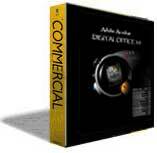 Now works with free Adobe Reader. 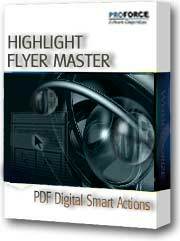 Better than paper, pdf highlight flyers are easier to prepare and print. These home feature flyers are designed for creating list presentations, open houses, brochure boxes, and more. 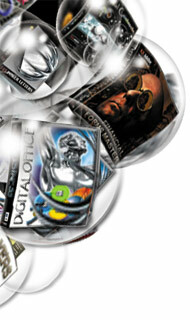 Using Acrobat full version 5 or later, you can place pictures, company logos on the flyer. Using 13 different templates create 100's of highlight sheets. Includes Good Faith Estimate,1003 form, Truth in Lending, URLA, mortgage application. Updated forms and new 1003 and 1008. Tab to next text-field, multiform data impregnation, spell check, and more! Text fill-able PDF forms! Save your client's information. Download the 2010 1003 URLA today. Over 3,000 PDF real estate form field fill-able contracts, flyers, newsletters, brochures, manuals, slide shows, list presentations, guides, tools, and control-panel with 240 preset data-access links. Forms contain action-items like: hot-spot links, transition effects, auto-math, and data-fields like: text, drop-menu, radio button, check-box or digital signatures. Expandable options like drag/drop form/folder reorganization, text editing, image or logo use, and even creating new forms. FNMA, GNMA FHA, 1003, HUD, VA.
Mortgage Suite $359 Electronic smart forms with auto-math, hot-spot links, and text entry and check box fields. PDF® forms are better than paper, and offer expandable features like digital signatures and more! Over 1,500 electronic forms, flyers, newsletters, manuals, brochures, productivity tools, and contracts... affidavits, loan applications, verifications, authorizations, core compliance, disclosures, loan prospector, sample sets, mortgage instruments & assigns, legal, deeds, worksheets, and HUD, VA,1003, FNMA, FHA, RESPA, FEMA, FDIC, GNMA, FHLMA, Freddie Mac, Fannie Mae and more. Automated Internet financial data retrieval. This is a $99 value added for FREE! Shipped with preset data-links to information portals. 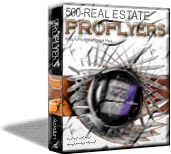 This real estate software program includes over 100 professionally drafted letters you can customize in half the time it takes to create a new one from scratch! Best-of-all, they are all made in Microsoft Word™. These easy to personalize Word™ letter templates will save you tons of valuable time, and are very easy to custom tailor to your specific needs. Each letter is professional, concise, and complete. The letter library collection provides the depth you need by covering every imaginable real estate subject! CMA assistant. PDF® text fill-able "Stuffers" appear on screen, just like the paper ones you presently use, but with data-entry fields. Edit "Stuffers" as they appear on screen, which is easier than common data-interface styles where you cannot see the actual form. 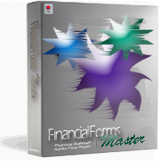 Over 700-pages of PDF Interactive forms and tool actions. Paper forms you presently use everyday are recreated as high-tech PDF® Interactive forms: worksheets, flyers, CMA, market proposals, listing plans, ad headlines, personal marketing resume, press release, highlight sheets, market surveys, market analysis, brokers price opinions, marketing calendars, flyer templates, property features flyers, 5-automated slide shows, 40-newsletters, and much more! Step up to electronic forms. 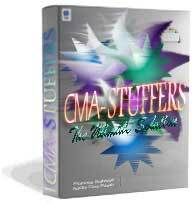 Includes CMA Stuffers free. For Sale By Owner assistant. 750 pages containing fields like: text entry, check box, drop menu, radio buttons, hot-spot web links, as well as automatic date entry and mathematical calculations to save valuable time. Electronic forms and contracts offer neat and readable typed text, automated math calculations, and other features. All Acrobat Reader users may now save filled in pdf forms from Oberware, Inc.
We can convert your forms from paper to digital for you. Copyright 2010 Oberware, Inc. 1-877-800-0235 All rights reserved.